A man is lying drowned in a dead forest, far from water. How did this happen? A firefighting plane filled its tanks with water from a lake, sucking a scuba-diver in (Is this an urban legend, or did I see this on the news?). He drown while the plane was in flight and was dumped onto a burning forest with the water. 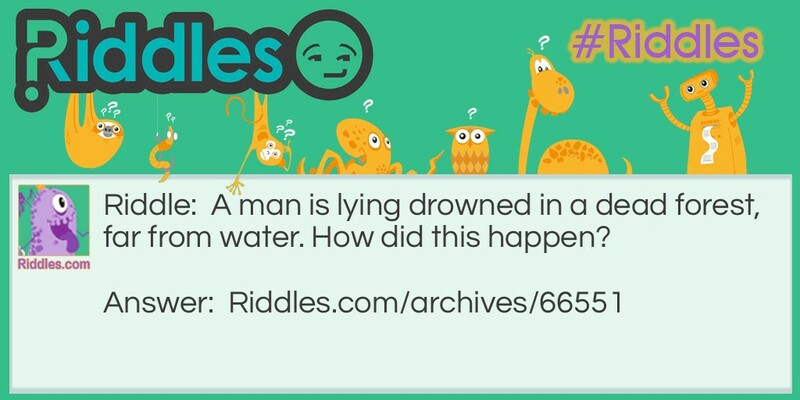 drowned man Riddle Meme with riddle and answer page link.